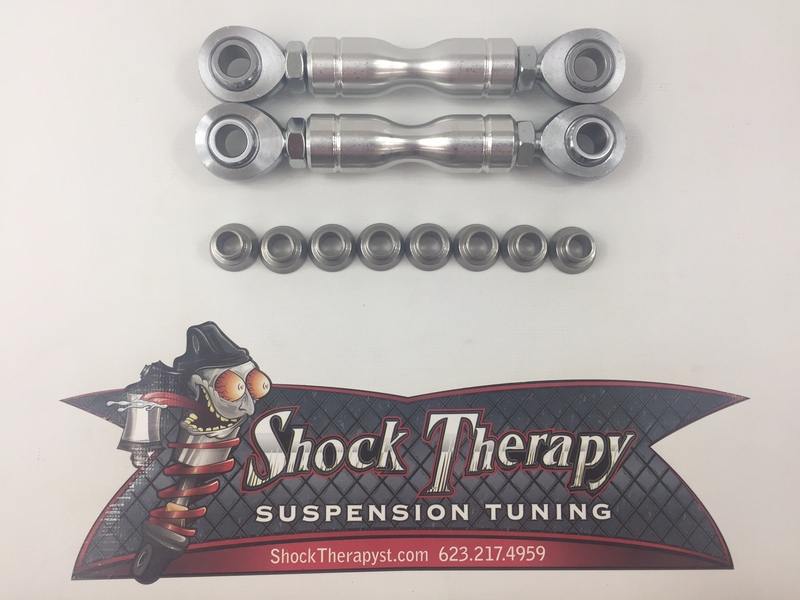 Shock Therapy adjustable Billet aluminum front sway bar links are a great addition to your vehicle. Our adjustable links will increase rigidity and improve roll stability. These links also have increased clearance machined into them to allow them to clear larger axles when fully compressed. The links include Racing Grade Teflon lined rod ends for durability and longevity in both dune and desert environments. Left and Right hand threaded rods ends allow for easy on-the-fly adjustment without have to remove them from the vehicle. Links are sold in pairs. Click the button below to add the Adjustable Front Sway Bar Links Polaris RS1 to your wish list.